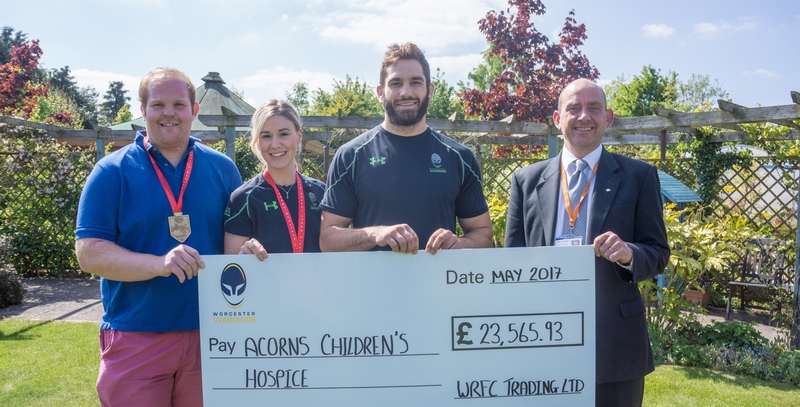 Funds raised for Warriors’ Official Charity Partner Acorns Children’s Hospice were handed over at a special ceremony at Bath Road, Worcester earlier this month. A grand total of £23,565.93 was raised over the course of the 2016/17 season, with Warriors Acorns Ambassador Sam Betty presenting the cheque for the whopping amount to Acorns Chief Executive Toby Porter. 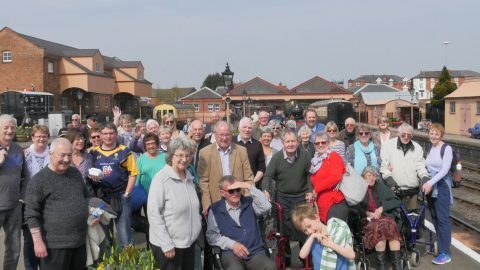 The fundraising attempt saw Warriors supporters and away fans digging deep in support of the charity, which operates three hospices across the West Midlands, providing care for life-limited and life-threatened children and support for their families. Warriors Kit Manager Chris Derrick and HITZ Mentor Charlotte Hatton-Smith completed the London Marathon, while the Club’s annual Charity Matchday and bucket collections helped raise the impressive amount in the season-long effort. Acorns Chief Executive Toby Porter said: “This is a fantastic amount and one which will make a real difference to the children and families who rely on our care. On behalf of everybody at Acorns, I’d like to say a huge thank you to Warriors and all the fans for their generosity. 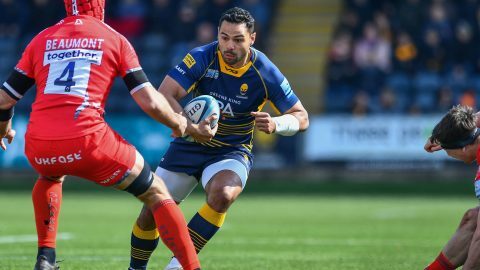 Warriors Acorns Player Ambassador Sam Betty added: “It's been a brilliant fundraising effort by everyone associated with the Club. In the past year, Acorns has provided specialist care and support for more than 860 children and over 1,030 families, including those who are bereaved. The charity relies on the local community for the bulk of the nearly £10 million it needs each year to continue providing its care. To find out more about the charity's work and to find out how you can get involved, click here.